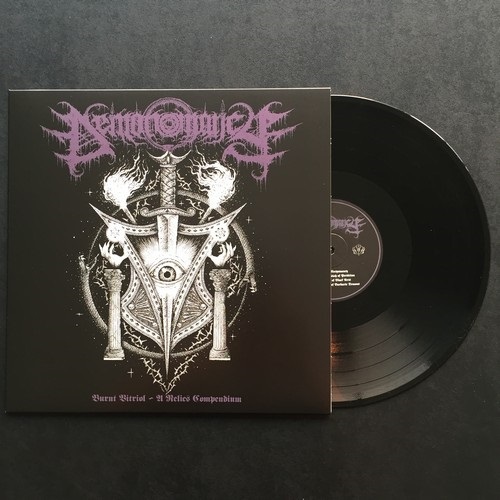 Prior to the release of its 2013 debut album, “Throne of Demonic Proselytism,” Demonomancy recorded and released two demos, “Bearers of Black Arts” and “The Premonition,” as well as its intervening “Rites of Barbaric Demons” MLP. Whereas the MLP was made widely available through its release by Nuclear War Now!, the two demos were circulated in a more limited fashion, as tends to be the case. “Bearers of Black Arts” was originally self-released in 2010 and then soon after reissued by Rawblackult Productions, both on cassette format. “The Premonition” was also first released on a relatively limited number of cassettes by NWN! in November of 2012, in celebration of the band’s appearance at the label’s fest in Berlin that same month and as a precursor to the ensuing debut full-length. These two demos are now compiled and hereby offered on twelve-inch vinyl format by Nuclear War Now! under the title of “Burnt Vitriol – A Relics Compendium.” The first six tracks on this compilation were restored from the original “Bearers…” reels by the band itself, thus ensuring a substantial improvement in sound quality while still maintaining the intended low-fi, primeval spirit of the demo. 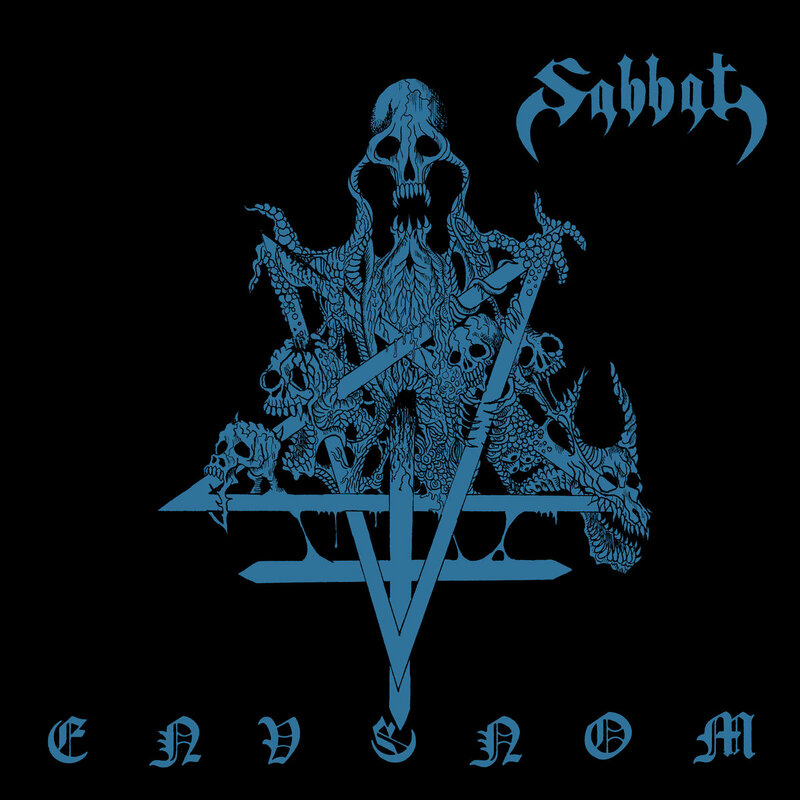 The remaining two tracks are preserved in the same form which they took on the “Premonition” demo, as they were properly recorded in a professional studio with the appropriate equipment, which resulted in the dense and full production that continues to please the band to this day. 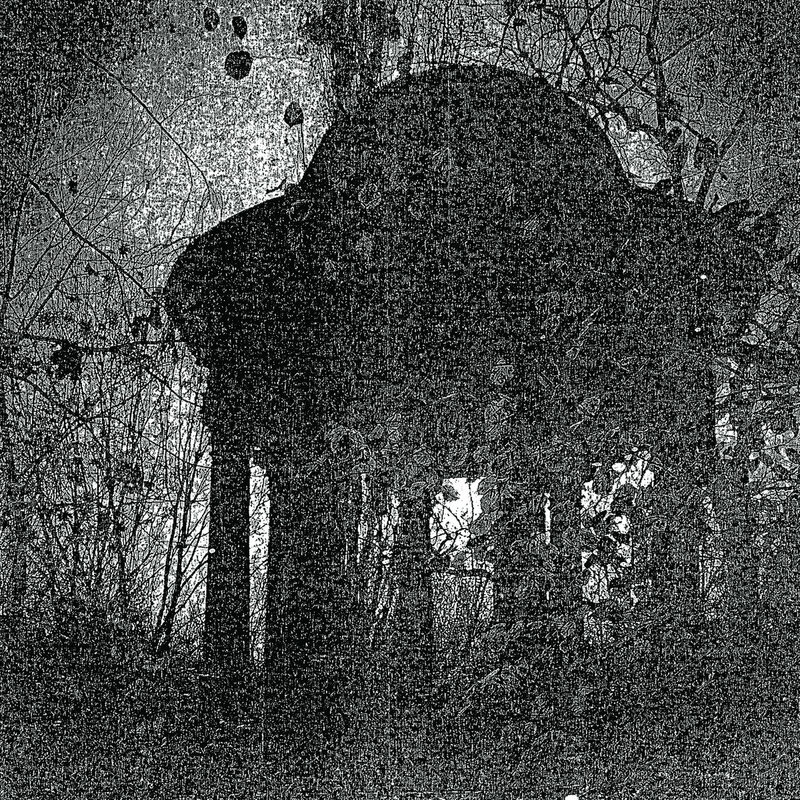 “Burnt Vitriol – A Relics Compendium” thus once again presents the death-infused black metal of Demonomancy’s formative years and serves to make it more readily accessible to audiences both old and new.